Notifier FST-851(A) Series intelligent plug-in thermal detectors with integral communication has features that surpass conventional detectors. 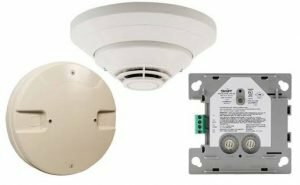 Notifier FST-851(A) Series intelligent plug-in thermal detectors with integral communication has features that surpass conventional detectors. Point ID capability allows each detector’s address to be set with rotary, decimal address switches, providing exact detector locations. FST-851(A) Series thermal detectors use an innovative thermistor sensing circuit to produce 135°F/57°C fixed-temperature (FST-851/A) and rate-of-rise thermal detection (FST-851R/A) in a low-profile package. FST-851H(A) provides fixed high-temperature detection at 190°F/88°C. 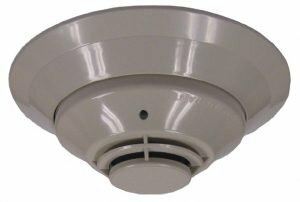 These thermal detectors provide effective, intelligent property protection in a variety of applications. FST-851(A) Series detectors are compatible with Notifier Onyx and CLIP series Fire Alarm Control Panels (FACPs). State-of-the-art thermistor technology for fast response. Rate-of-rise model (FST-851R/A), 15°F (8.3°C) per minute. Factory preset fixed temperature at 135°F (57°C); high-temperature model fixed at 190°F (88°C). Compatible with FlashScan and CLIP protocol systems. Rotary, decimal addressing (1-99 on CLIP systems, 1-159 on FlashScan systems). Visible LEDs “blink” every time the unit is addressed. 360°-field viewing angle of the visual alarm indicators (two bi-color LEDs). LEDs blink green in Normal condition and turn on steady red in Alarm. Integral communications and built-in device-type identification. Remote test feature from the panel. Built-in functional test switch activated by external magnet. Walk test with address display (an address of 121 will blink the detector LED 12-(pause)-1). 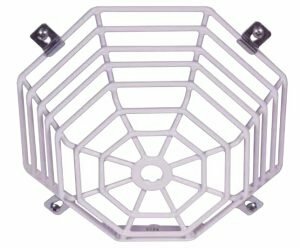 Designed for direct-surface or electrical-box mounting. Plugs into separate base for ease of installation and maintenance. Separate base allows interchange of photoelectric, ionization and thermal sensors. SEMS screws for wiring of the separate base. Constructed of off-white fire-resistant plastic, designed to commercial standards, and offers an attractive appearance. Remote LED output connection to optional RA100Z(A) remote LED annunciator. Optional sounder, relay, and isolator bases. Optional flanced surface mounting kit. NOTE: “A” suffix indicates ULC Listed model. FST-851: Intelligent thermal detector. Must be mounted to one of the bases listed below. FST-851A: Same as FST-851 but with ULC Listing. 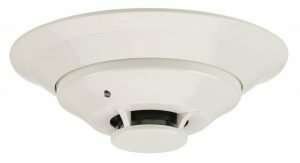 FST-851R: Intelligent thermal detector with rate-of-rise feature. FST-851RA: Same as FST-851R but with ULC Listing. FST-851H: Intelligent high-temperature thermal detector. FST-851HA: Same as FST-851H but with ULC Listing. NOTE: For details about intelligent bases and their mounting, see DN-60054. B210LP(A): Standard U.S. flanged low-profile mounting base. B210LPBP: Bulk pack of B210LP; package contains 10. B501(A): Standard European flangeless mounting base. B501BP: Bulk pack of B501; package contains 10. B200S(A): Addressable Intelligent, programmable sounder base capable of producing sound output in high or low volume with ANSI Temporal 3, ANSI Temporal 4, continuous tone, marching tone, and custom tone. B200SR(A): Intelligent sounder base capable of producing sound output with ANSI Temporal 3 or continuous tone. 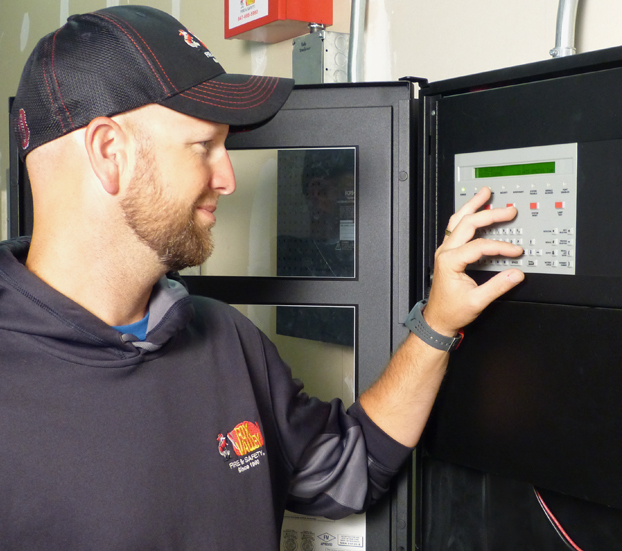 Replaces B501BH series bases in retrofit applications. B224RB(A): Intelligent relay base. Screw terminals: up to 14 AWG (2.0 mm²). Relay type: Form-C. Rating: 2.0 A @ 30 VDC resistive; 0.3 A @ 110 VDC inductive; 1.0 A @ 30 VDC inductive. B224BI(A): Intelligent isolator base. Isolates SLC from loop shorts. Maximum: 25 devices between isolator bases; see Note 2 under Installation. F110: Retrofit flange to convert B210LP(A) to match the B710LP(A) profile, or to convert older high-profile bases to low-profile. F110BP: Bulk pack of F110; package contains 15. F210: Replacement flange for B210LP(A) base. RA100Z(A): Remote LED annunciator. 3 – 32 VDC. Fits U.S. single-gang electrical box. Supported by B210LP(A) and B501(A) bases only. SMB600: Surface mounting kit, flanged. M02-09-00: Test magnet with telescoping handle. XR2B: Detector removal tool. 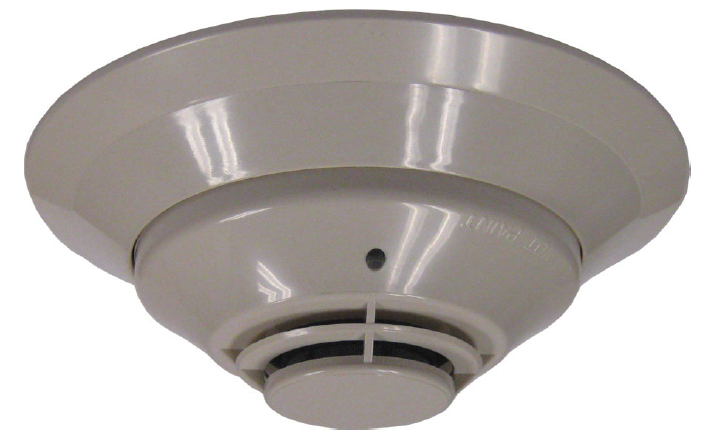 Allows installation and/or removal of FlashScan Series detector heads from base in high ceiling installations. Includes T55-127-010. T55-127-010: Detector removal tool without pole. XP-4: Extension pole for XR2B. Comes in three 5-foot (1.524 m) sections.